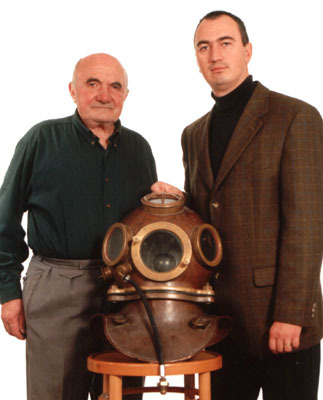 Our company`s divers are diving since 1962. The Debrecen Diving Club was established in 1962 by Kosina Pál. In the 60` sport diving was the main function. The demand for industrial diving developed in the 70` in Hungary. Kosina Péter the present head of our company started to deal with industrial diving at the end of the 80` and between 1990 and 1997 he worked in the USA as an industrial diver. He established the company in 1997 which is functioning succesfuly eversince.